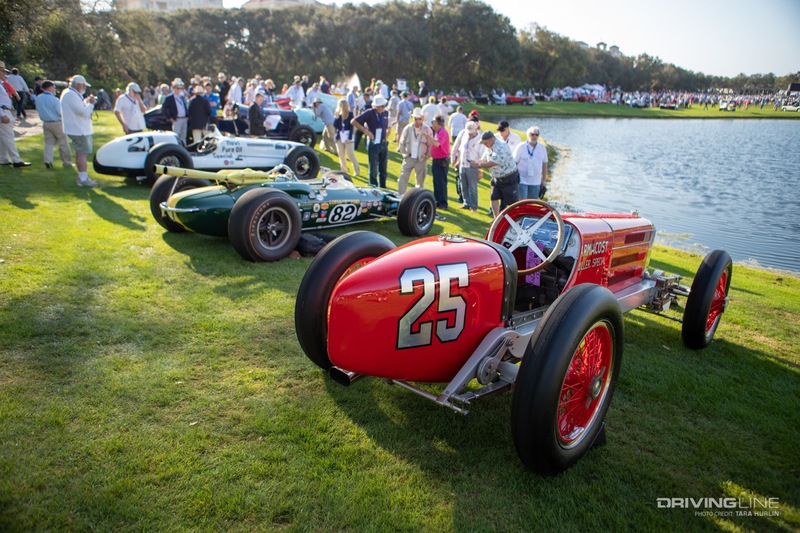 The cars seen at the Amelia Island Concours d’Elegance aren’t only fit for khaki wearers sporting bright white calf-high socks and blazers over button-down shirts. 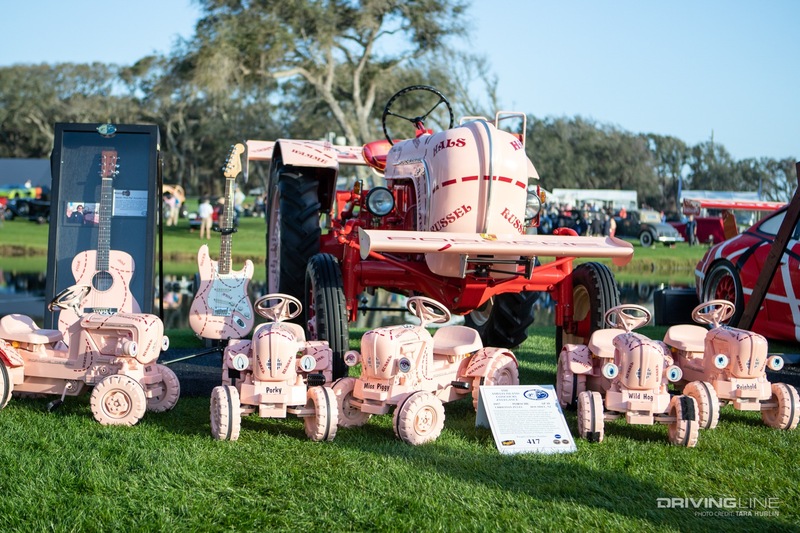 Vehicles from various eras that have contributed to our rich automotive history are scattered amongst the show fields. 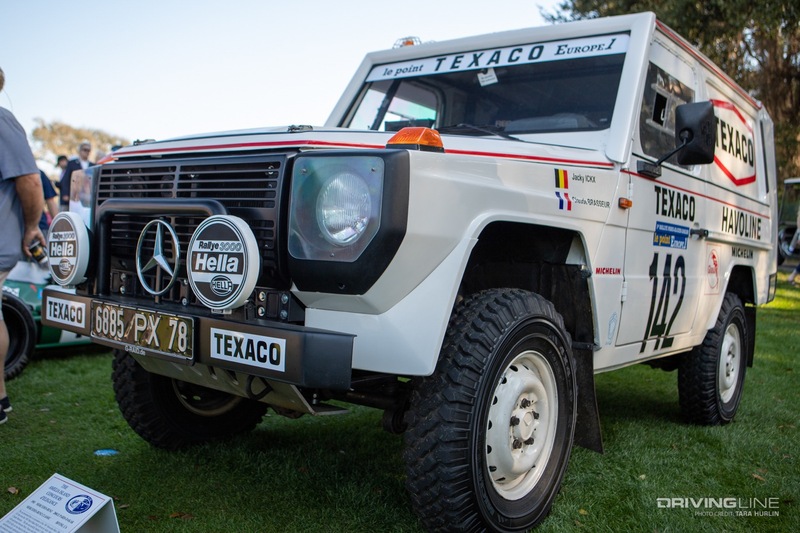 Beyond the mundane white-gloved marques are extraordinary cars with prominent stories. 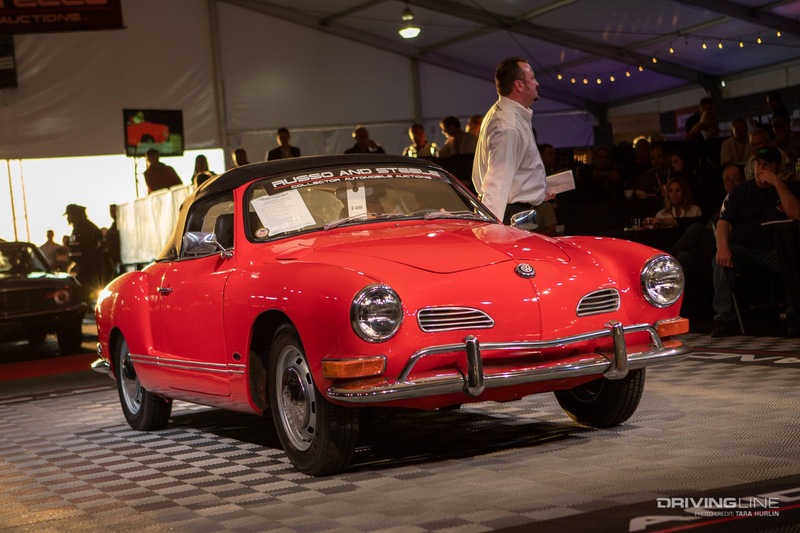 Here are five out of the hundreds that caught our eye. 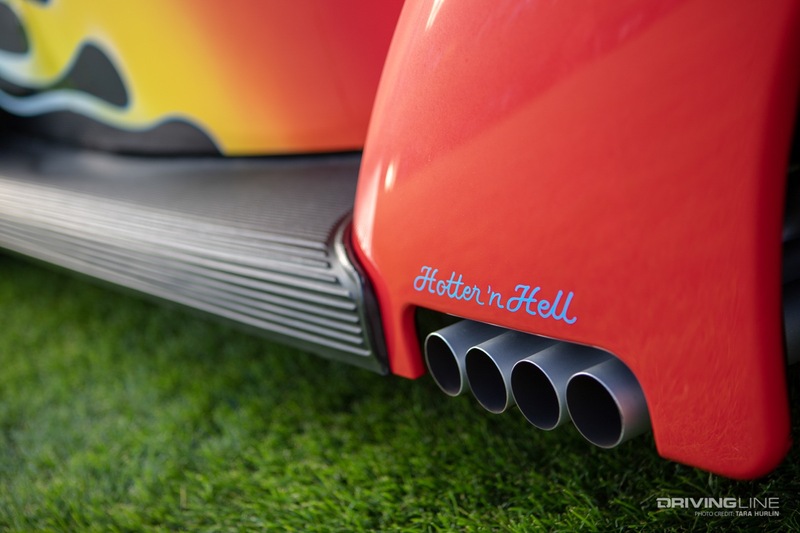 This car has a name representative of its pounce-like stance. 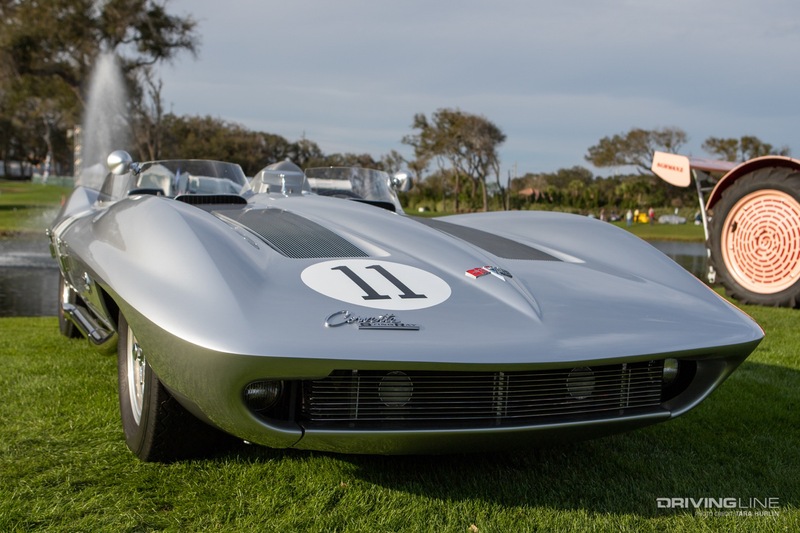 California road racing legend Bill Thomas built the Cheetah in the 1960s with fabricator Don Edmunds, backed by Chevrolet, to compete with the Shelby Cobra. 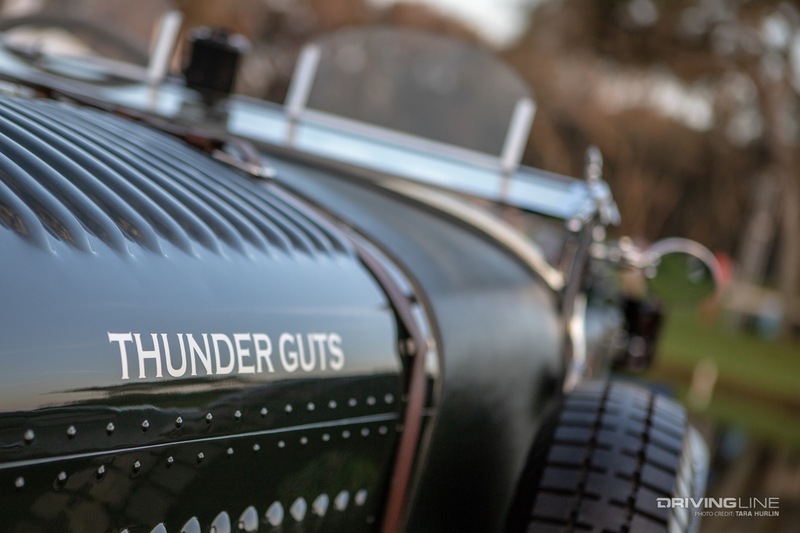 Thomas’ lack of record keeping causes some confusion on exactly how many of these cars are built, but according to previous owner and vintage racer Fred Yeakel, it is safe to say that the is one of (at least) 11 completed cars. 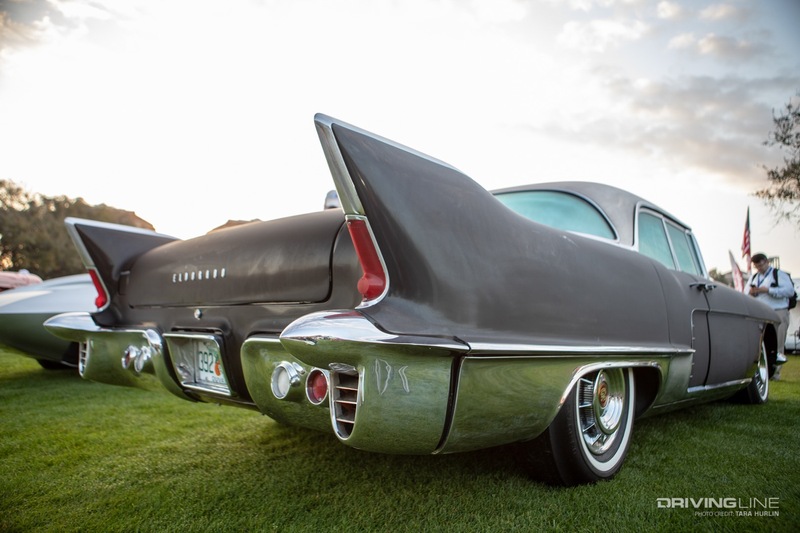 The original flared-fender fiberglass body was designed around the progressively widening tires of the early 60s, but when Yeakel acquired the car in 1989, he had other plans. 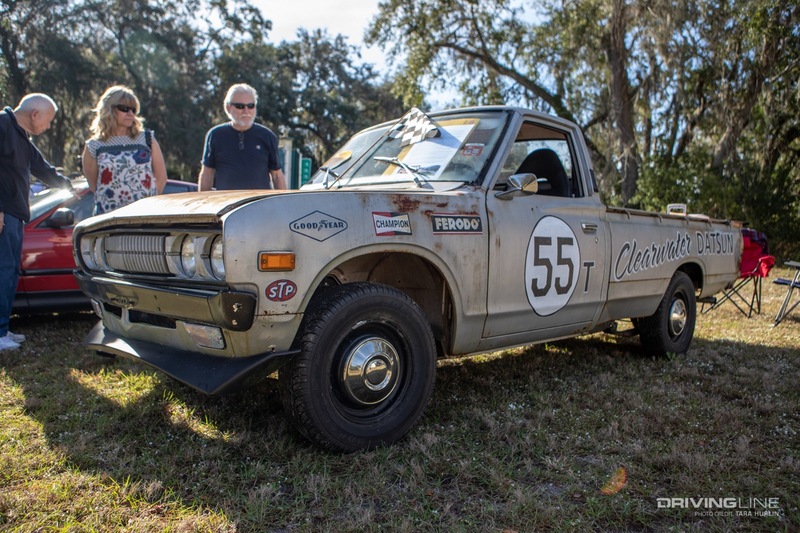 Instead of cutting off the shapely flares, he replaced the original fiberglass body with another that had been cut up, then pieced it back together before driving the car in competition. 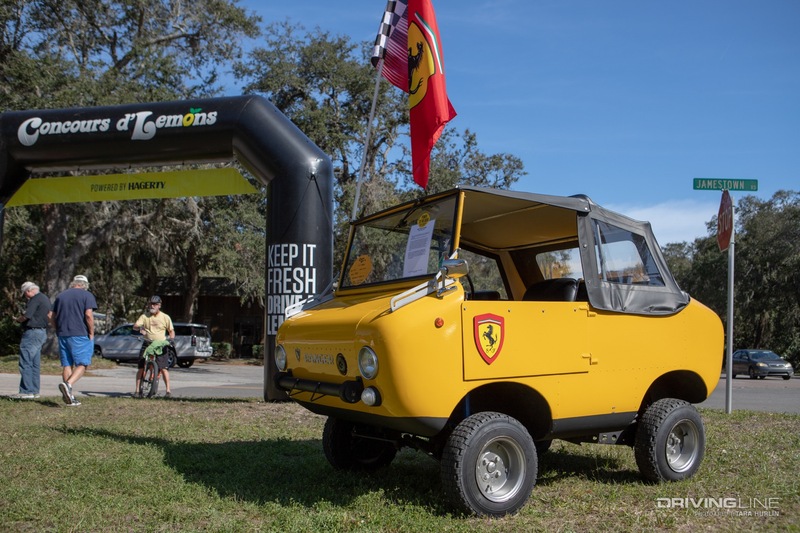 In 2016, after 27 years of ownership, Yeakel retired the car and put the original preserved body back on the chassis. 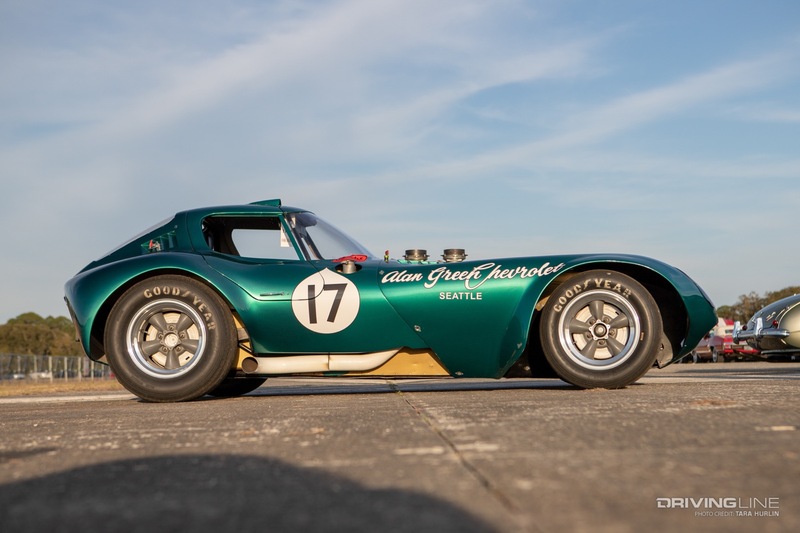 Cheetahs have been clocked at 215-mph on the Daytona Speedway’s high banks. 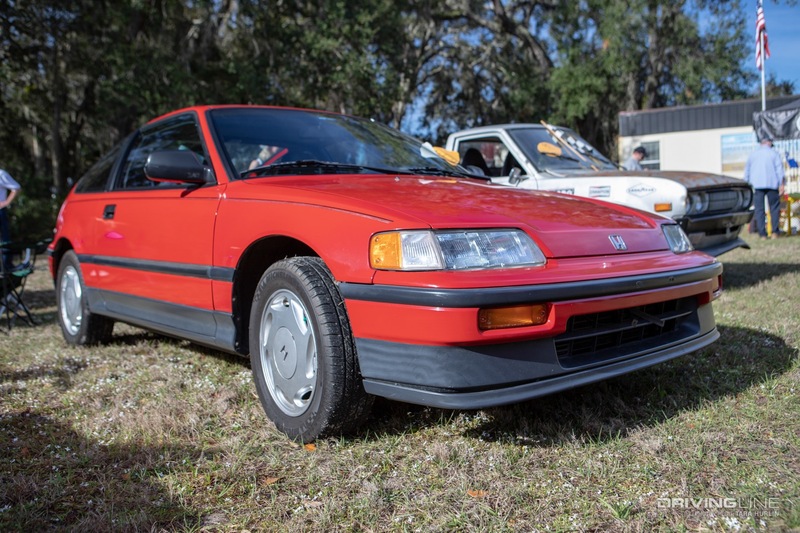 As it sits now, the car weighs less than a first-generation Mazda Miata and the mid-mounted small-block 327 is overbored to 377-cid to push more than 500-horsepower. This particular example is legal for street driving. 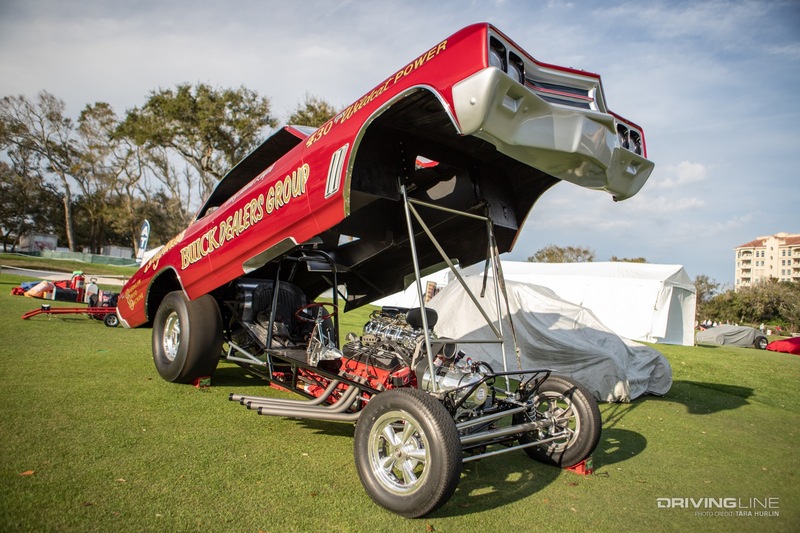 You are looking at the world’s first and only Buick-powered Funny Car ever built. 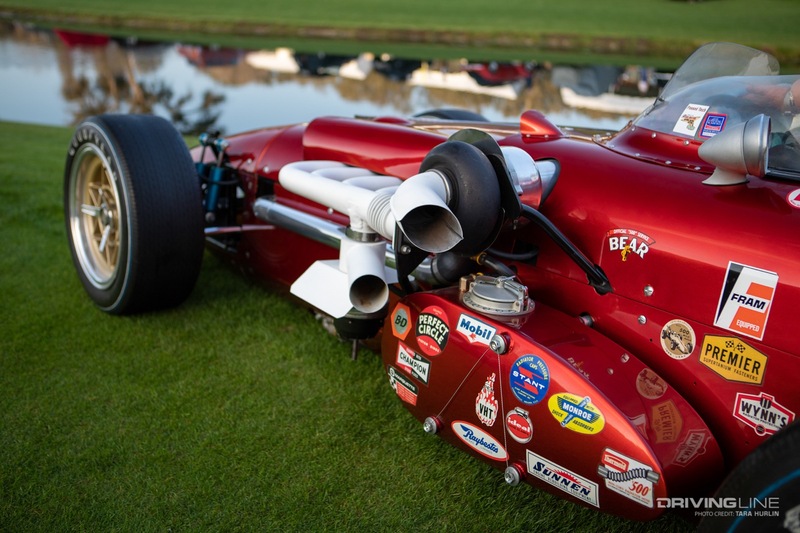 Jerry Lipori constructed the car with co-owner Steve Malise in his New York shop, Brooklyn Speed & Machine, after completing a long string of highly competitive AA/GD dragsters. Malise convinced 19 Buick dealerships in the area to contribute $1,000 each in support of the build. 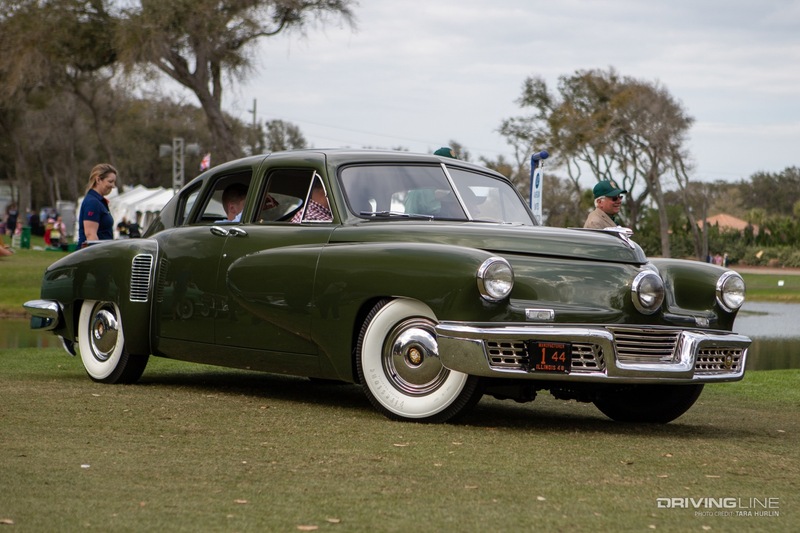 Lipori and Malise completed the blown and fuel-injected 430-cid iron-block Buick engine and ladder chassis while Ron Pelligrini molded a fiberglass body modeled from a new Skylark. 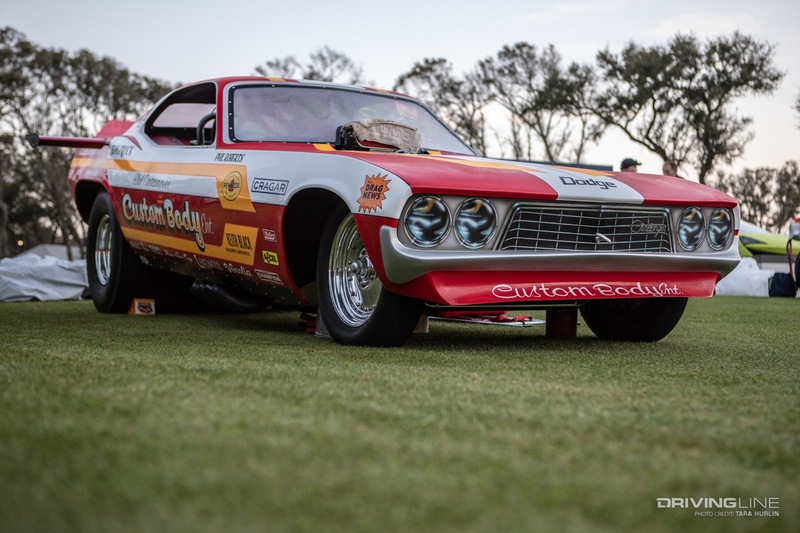 It was revving to race in 1967, back when most Funny Cars ran iron-block 392 and 426-cid Hemi Chrysler engines. The Skylark was host to many prominent drivers including Bruce Bohan, “Coney Island” Ralph Landolphi, and “Rapid Red” Lang. 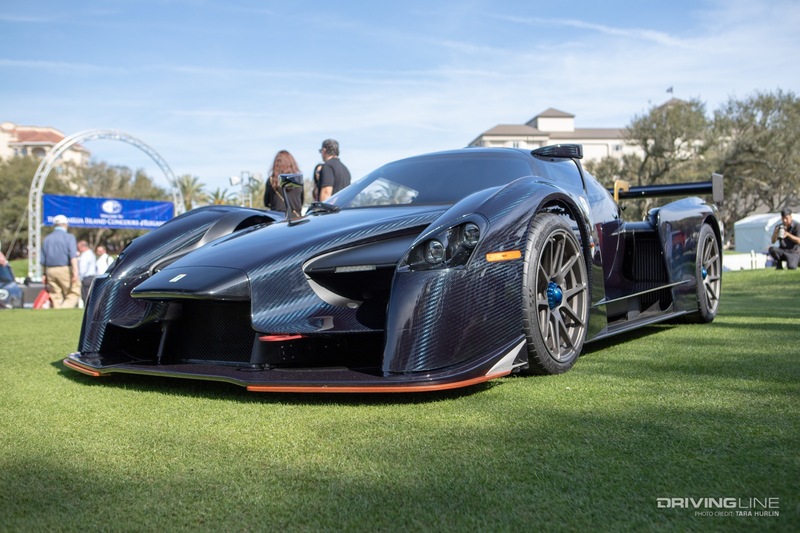 Its best time was 7.79-seconds at 191-mph. 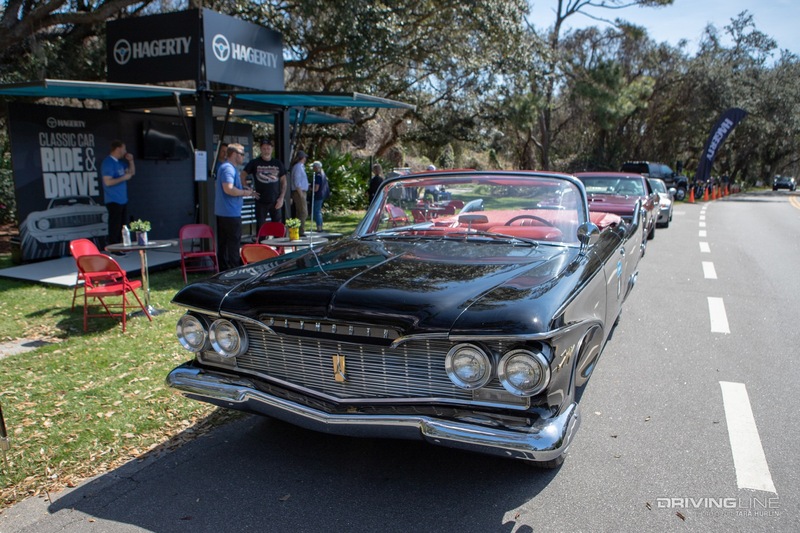 The car’s story came full circle when Jerry Lipori’s son, John, tracked the car down and secured it back into its original family. 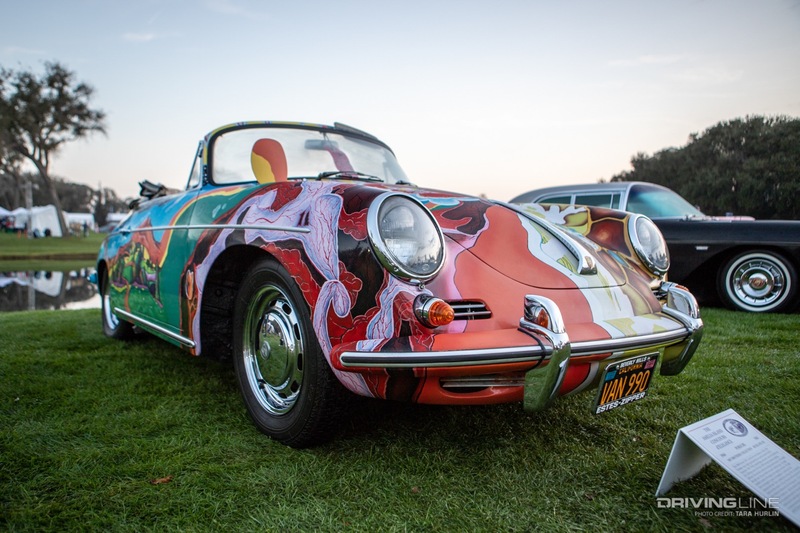 Porsches are abundant at the Ameila Island Concours, but the hand-painted mural adorning Janis Joplin’s 1964 Porsche 356c Cabriolet draws a crowd and celebrates the young star’s life. 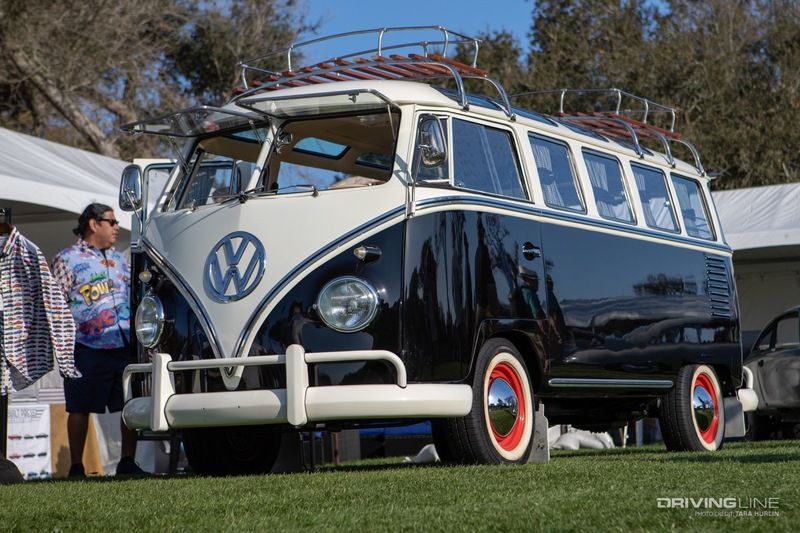 After she died in 1970 at age 27 in a Hollywood hotel, the car went to her siblings, Michael and Laura Joplin, who shared it for about 30 years. 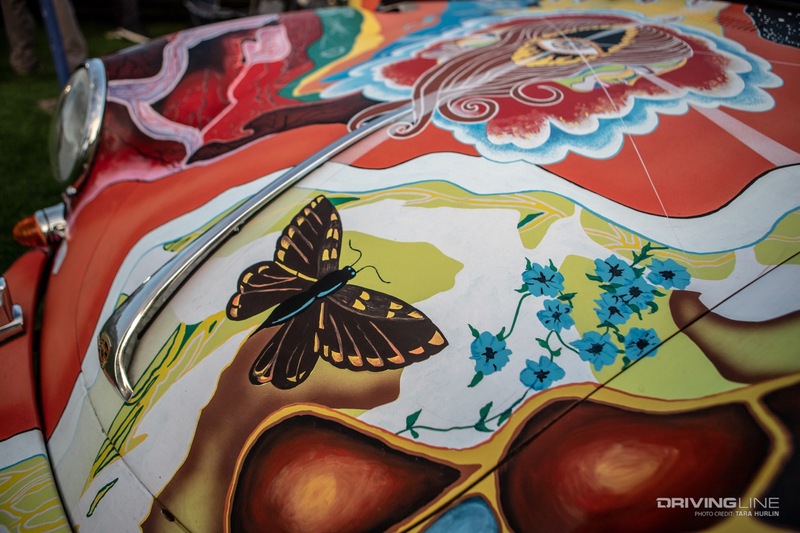 During their custody, the car’s paint began to peel and the original artwork was covered in light grey paint. 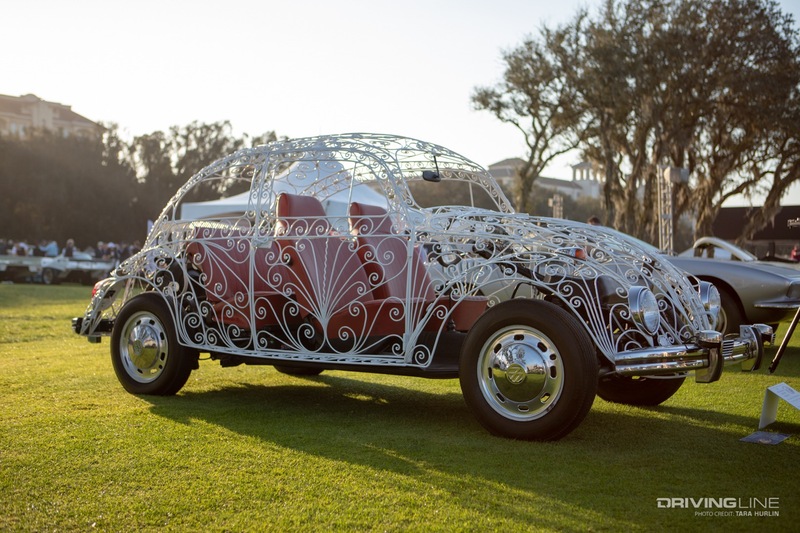 The car was eventually saved and the artwork restored by several artists using old photographs and quality paint that will last. The bright color-infused landscapes, birds, butterflies, floating eyes, mushrooms and ghostly faces live on to be enjoyed by and evoke emotion from the masses. 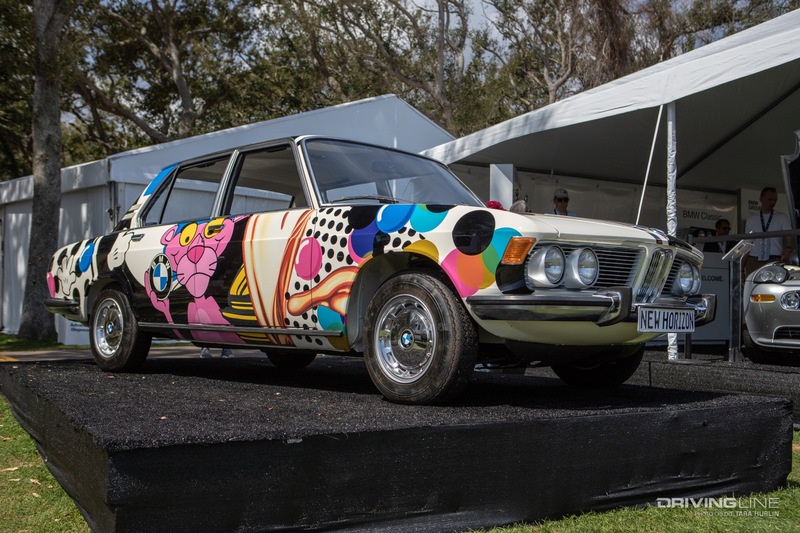 Joplin originally purchased the car for $3,500 in 1968 and it last sold at an RM Sotheby’s auction for $1.79-million in 2015. It's a vintage glamper's paradise. 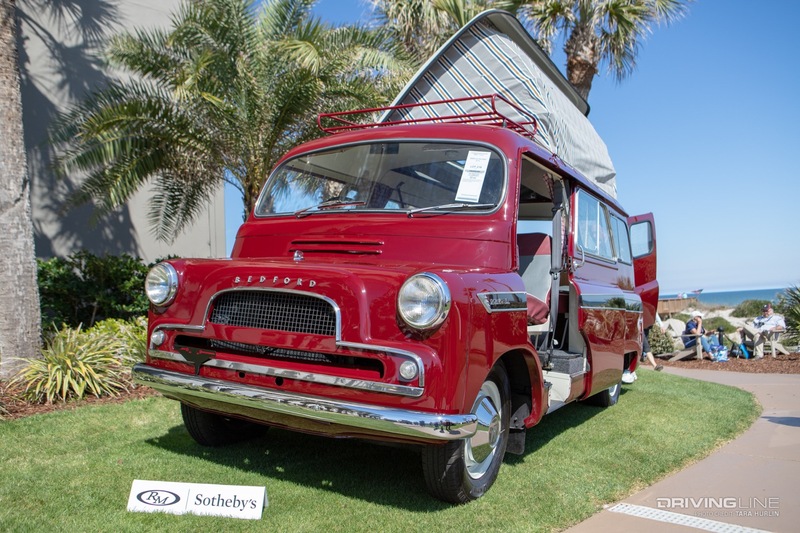 Bedford Dormobiles are first recognized by the distinct pug-nose styling and sliding front doors. 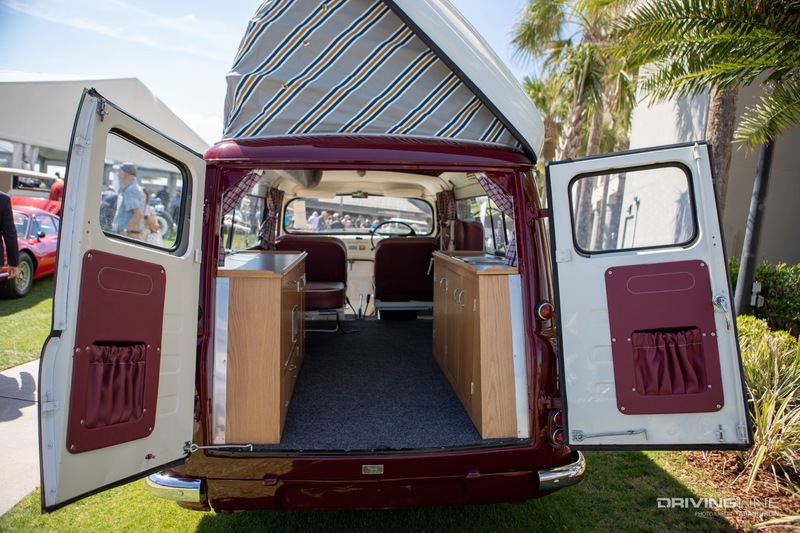 This example adds an accordion-style pop-top with two hidden fold-away cots, a stove, a sink, and cupboard for additional storage. 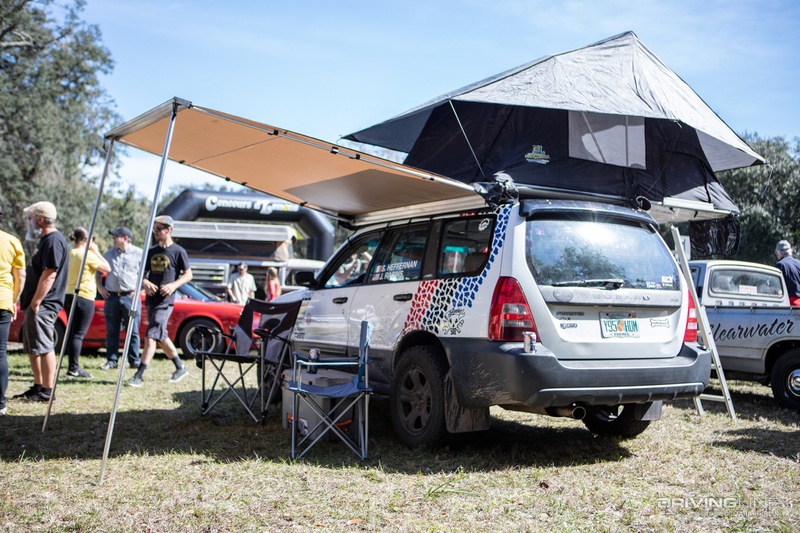 The front seats align with the middles to form a sleeping area for two, then the cots are available up above for a total sleep capacity of four adults, or six if you add a blow-up mattress or set a cot between the cupboards in the rear. 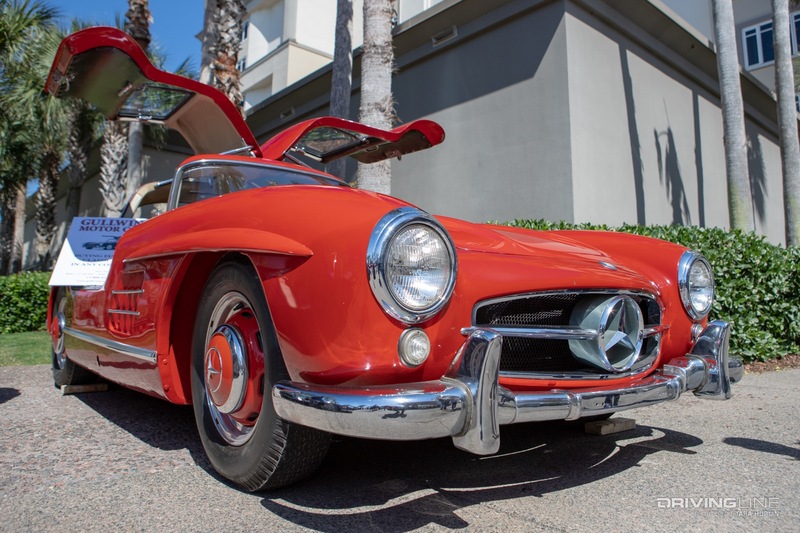 According to RM Sotheby’s, this older restoration with modern fittings and fixtures and new radial tires holds a value between $60,000-$80,000. 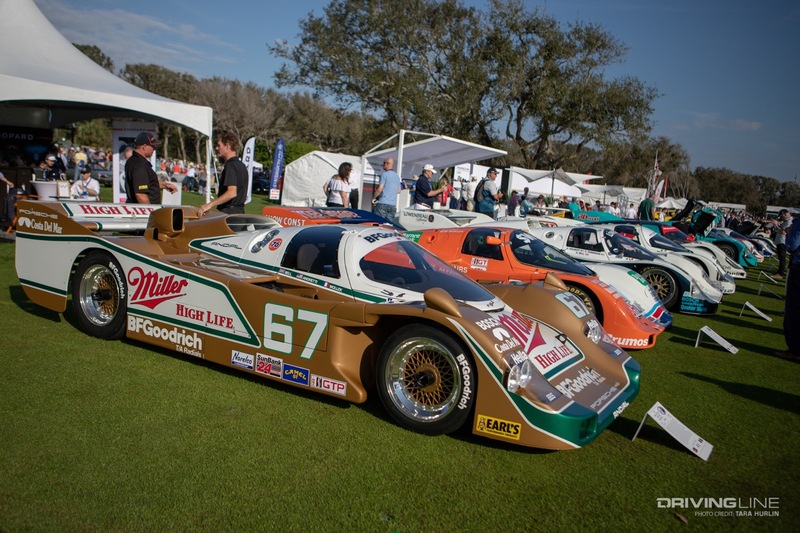 Check out the photo gallery for more striking cars from the Amelia Island Concours d’Elegance. 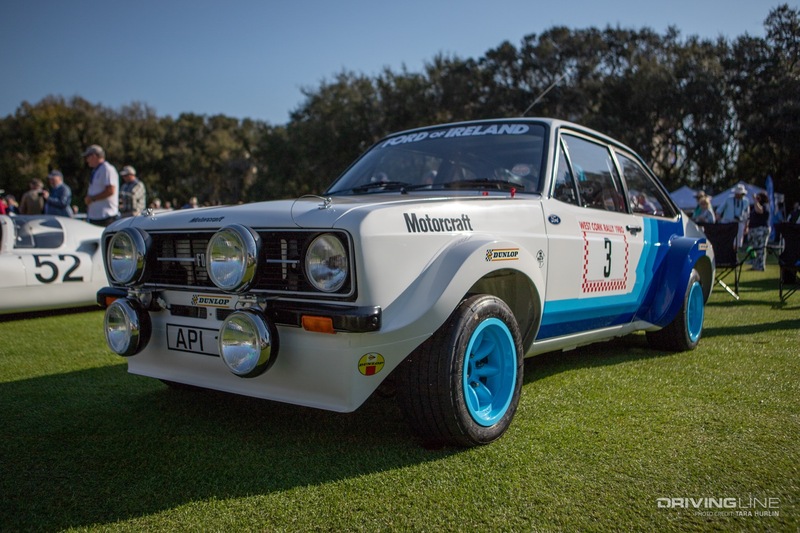 See all the cars and automotive history revived at the Empire Hill Climb.